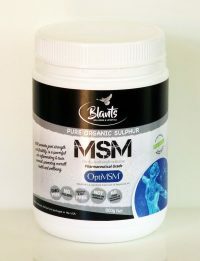 Blants have sourced and are proud to offer you a USA ultra-pure, high quality MSM crystal that is trusted globally as being the safest, purest, best quality MSM (organic sulphur) in the world – OptiMSM by Bergstrom Nutrition, which has been granted regulatory approval from Australia’s Therapeutic Goods Administration (TGA). Now available in New Zealand. This MSM contains no yeast, dairy, egg, gluten, corn, soy or wheat, and has no added sugar, starch, salt, preservatives, or artificial colour, flavour or fragrance. It’s safe for individuals with food allergies, and for those choosing a vegetarian lifestyle. 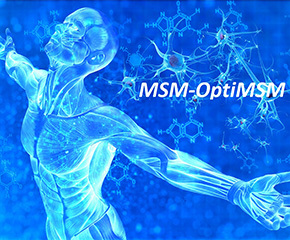 Have you landed on our page after researching MSM, and perhaps concluding OptiMSM is the safest, purest MSM produced in the world ? We absolutely agree. No other MSM has a 4 stage distillation process to ensure the end-product is the safest, purest, most effective MSM on the market. Opti have a choice of two MSMs, one as a powder, and the other Opti refer to as a flake, but is more like a super fine crystal. Large companies that blend MSM with other products prefer the powder since it contains anti-cake / free flow. Blants ethos is maximum purity, and so we supply the crystal, with no anti-cake / free flow. It is 100% OptiMSM. Since there is no anti-cake it may clump a bit in the container, a bit like sugar or salt do, but is easily broken apart by pushing on the container or shaking. Whilst on the subject of purity, be aware of any MSM, whether powder or crystal that does not have a tendency to clump, it likely contains anti-cake / free flow! Although we bring into New Zealand genuine TGA approved OptiMSM, the TGA approval does not transfer over to Blants, and therefore, we are not permitted to mention therapeutic benefits. 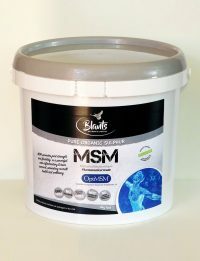 So, we need to make this statement – “Organic Sulphur / MSM is not a pharmaceutical or medicine, but a food supplement.” Blants are however registered with FSANZ (Food Standards Australia and New Zealand) and re-pack into 800g, and 4kg. Unfortunately sulphur levels decrease with age resulting in body fatigue. MSM / Organic Sulphur as a food supplement supplies the body with needed sulphur. MSM and Vitamin C work together. It is suggested for maximum absorption, MSM should be taken with vitamin C approx 4parts MSM to 1part vitamin C.
Drinking plenty of water is very important for anyone wishing to have good health. When using MSM as a food supplement drink ample pure water. How do you use MSM ? Amount may vary considerably per individual. OptiMSM recommend from 1 – 6 grams dissolved in a glass of water or juice per day to start with. Some take more than this. We can only suggest do some research or contact your healthcare professional. What does MSM stand for ? A bit of trivia, and also a bit of a mouthful – MSM, also known as Organic Sulfur (OS), is the abbreviation of Methyl-Sulfonyl-Methane. Why not buy bulk MSM? Become a stockist and take advantage of our wholesale pricing – great for fitness centres, and sports clubs. Contact us for details.